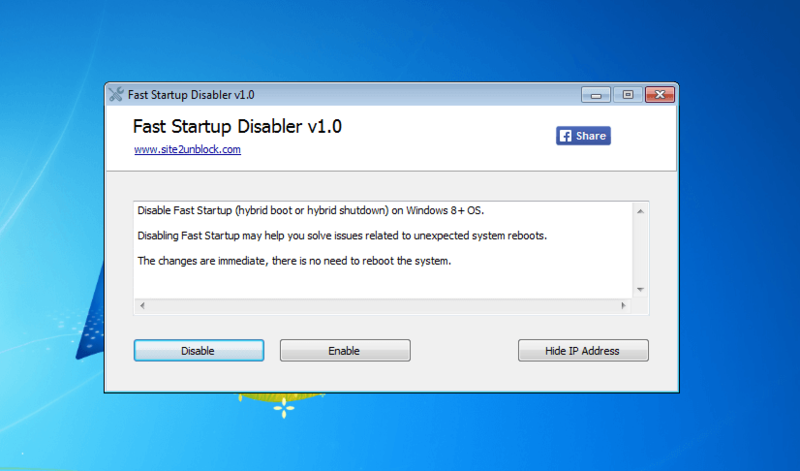 Fast Startup Disabler is a very simple Windows OS software that helps you to disable (or enable) Fast Startup (also known as hybrid boot or hybrid shutdown) feature on Microsoft Windows 8+ Operating Systems. If you are experiencing problems with Fast Startup feature, such as if you have problems with dual boot, or if your PC hangs while rebooting, or if you notice unexpected system reboots, then you can easily turn off Fast Startup. This program works fine on Windows 8, 8.1 and Windows 10 (32\64-bit).